The markets may not bounce back as yet, given the political uncertainty and rising tension between India and Pakistan. 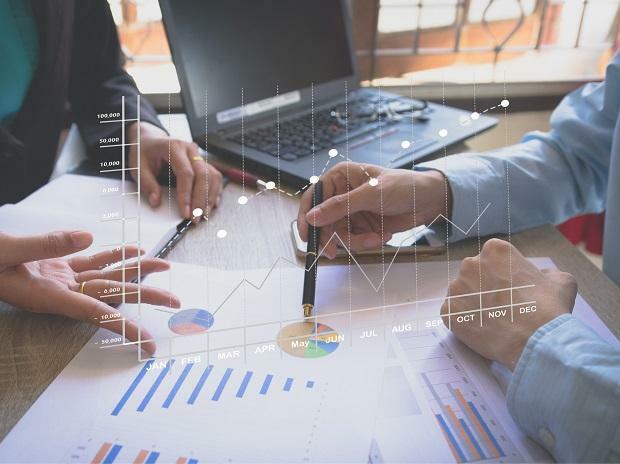 However, a steep correction, particularly in the broader market, has made valuations attractive for many companies with good growth potential. 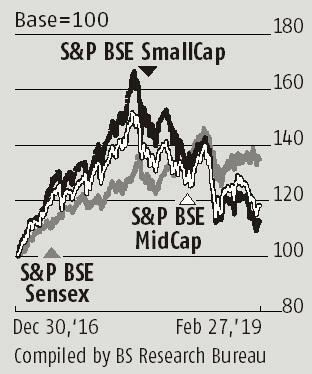 The valuation metrics such as price-to-earnings (P/E) and price-to-book (P/B) have come off sharply for many small- and mid-caps, making them good bets for long-term investors, say analysts. Consider this: The P/E multiples of every two out of three BSE 500 stocks are currently lower than what they were a year ago. Also, the P/B ratios for small-caps and mid-caps have corrected by 25 per cent and 16 per cent, respectively, even as for large-caps it is down just 9 per cent. Experts said the correction seen in the past one year was inevitable as valuations had become unsustainable. “One year ago, the P/E multiples of the mid- and small-cap were dramatically higher than that of large caps. A disequilibrium of this magnitude was indeed unsustainable, and the gradual and healthy bridging of this valuation gap is still work in progress,” said UR Bhat, director, Dalton Capital. “We (need to) identify high-quality businesses in mid-caps with sound fundamentals that trade at attractive valuations,” it added. The brokerage has screened 16 stocks, which include Johnson Consumer, GNFC, Heidelberg Cement, Venky’s India and JK Paper, which meet its filters. Deepak Jasani, head of retail research, HDFC Securities, said valuation comfort is high because, on one hand stock, prices have come down and, on the other, earnings are improving. “The optical P/E had risen in 2018 due to sharp increase in losses of some companies. The P/E based on positive earnings had, in fact, fallen to 21.13 from 23.51 in 2017. This declined further to 20.74 due to a fall in stock prices as mid-caps were out of favour,” he added.